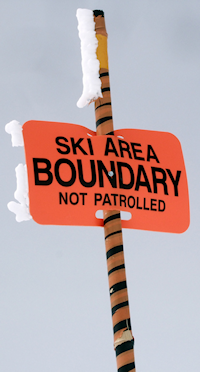 NH Region Ski Patrol operates the educational infrastructure of National Ski Patrol (NSP) within New Hampshire. NSP has almost five hundred members in NH made up of both volunteers and professionals spread out over 18 member patrols around the entire state. For individual Ski Patrollers, NH Region operates training programs for professional achievement. The most popular certifications include Senior Patroller training and examination; Certified Patroller Training; Instructor development; and various Continuing Education seminars required to maintain professional certificates. Many resources found on this website describe the services in greater detail. The events CALENDAR is the best place to start when looking for course offerings. Department Supervisors maintain web pages that further detail their services. Feel free to contact the staff with questions. Photo credits must also go the the many ski patrollers who also work as professional photographers. Their work can be found on the credits page.